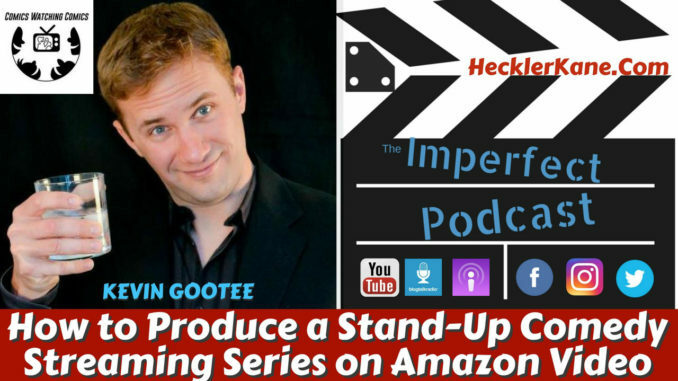 This week’s guest on the Imperfect Podcast is Kevin Gootee, creator and producer of the streaming series Comics Watching Comics available on Amazon Video. We talk to Kevin about everything from how he came up with the idea for Comics Watching Comics to what it takes to make the show available on Amazon Video. You may be familiar with shows such as Last Comic Standing but Comics Watching Comics takes things in a different direction featuring amateur comedians that Kevin and his panel critique and decide whether or not they have what it takes to make a living as a stand-up comedian. We dive into what it takes to produce a streaming series for 5 seasons and the process of making it available on Amazon. Kevin Gootee also has a number of ideas for more series based content that he’ll be unleashing in the near future. Why Distribute Comics Watching Comics on Amazon? Have more questions for Kevin Gootee and Comics Watching Comics? Leave them in the comments and we’ll get back to you!